Today we have a surprise! Kunle Campbell, founder of 2x eCommerce, and the host of the popular 2x eCommerce podcast (which we are religious listeners of!) joins us on the EMERGE App blog last week to share with us some insights that will help retailers do better online in 2017. 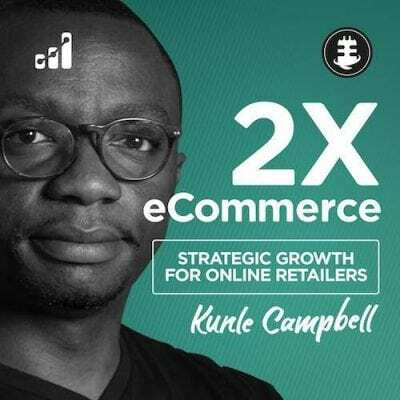 Kunle Campbell is a UK-based, highly sought after author, speaker and eCommerce consultant for many companies that aim to get 2X growth in a rapid amount of time. You can find his profile on Linkedin, on Twitter (handle: KunleTCampbell), and his podcast here. 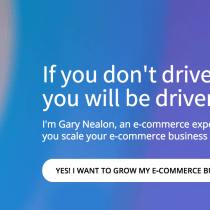 Over the course of half hour, we peppered him with questions and gleaned some really interesting nuggets of information that we think will be super useful to our retailers and companies selling on multiple sales channels. We covered a wide range of topics from sales to team building to UX design, so catch the best bits below. If you’re interested in reading the full transcript, check it out here. 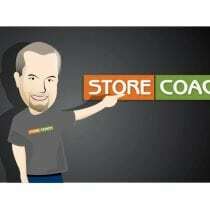 Q: What do you think is the best way to acquire initial online eCommerce sales? Kunle: There are two ways actually. In this day and age, one way would be paid acquisition; where you pay for traffic. 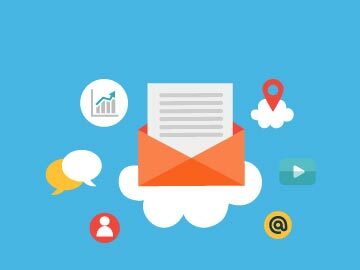 You drive traffic to your website or to your offer and you look at whether they convert or not, you look at what they do. You could use free tools such as Google analytics to see how well they convert your eCommerce platform and make sales decisions based on the data you have. 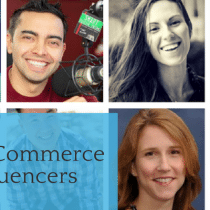 On the other hand, if you are trying to get into a market like say, in fashion eCommerce or makeup or health and fitness, you could work with an influencer if you could afford it. So you could have someone influence that has an audience to give your brand a review or a shout out in exchange that they get it for free. Q: When is it a right time to actually seek outside help? Kunle: Now if you’re ambitious, you will see the need very early on to get a team around you to support you. Now, the capacity of that team will vary. Now on the very simplistic side, if you’re very limited with resources, time is a very finite resource, so what you want to do is you want to definitely outsource the more administrative aspects of like customer service as early as possible. Eventually, what you want to do is build a team. And one of the things you want to also do early on is something I learned from Napoleon King’s book Think and Grow Rich, where you definitely want to create an expert panel, almost like a council of experts, a mastermind group of people that would support your business. 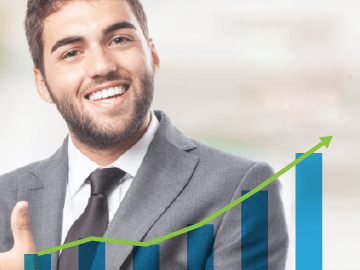 Q: What are the potential obstacles to acquiring and additional sales channel? Or perhaps more to your expertise, what do you think are the potential obstacles that can prevent people from going online? People get confused with selecting platforms. A lot of people are not skilled in project managing, building a website or running the backend. And the technology is critical to your business. You may give it to the wrong hands and that never happens. So that fear, just the fact that you don’t know your way around technology might instigate a fear, which fairly warrants it; that might hold people back. The other thing is if you are thinking about multi-channel marketing, so you are trying to launch into marketplaces, eBay, Amazon. The other is just the know-how, the step by step process. There are a lot of guides out there, most of them free but it takes time to go read and put them into practice. If you need step-by-step guidance, it is also available but often at a cost. Look at how you learn and then you can decide on the best course of action to avoid potential obstacles for your business. Q: Are we reaching a point where you think mobile eCommerce will take off more through the medium of phones or TV rather than through the computer? Kunle: Mobile commerce is here already. More people own mobile phones than they own computers, desktop computers or even tablets. The challenge for online retailers is, first of all, if you are not building a business where people buy from you repeatedly, even if you run a business that people buy repeatedly, what is the incentive of people creating space on their phones to load your app? So if you don’t have that depth of product, and I am talking about hundreds and hundreds of thousands of products in your store, there is no point having a mobile app. That said, what you need to do as a retailer is to identify those apps, those top eCommerce apps people are using and see if they could be a potential channel for you, so you are a part of that mobile play. The other thing you want to do obviously would be to sort out your mobile user experience. You need to think about the user experience on your mobile site obviously. But more importantly, people spend well over 50% of their time on mobile apps. If you are on Shopify for instance, you can create a Shopify store on your Facebook; people spend a lot more time on Facebook than any other app. So you could create a Facebook store and try and drive traffic to it. So you need to just think about who is leading in mobile and how can we partner with them; they’re not competition. If you’d like to read the full transcript of our interview, you can find it here. Thanks Kunle for the insights into how to navigate the global eCommerce world in 2017. If there’s one thing to take away from this interview, we learned that it’s important to start taking action. Q: What do you think is the one most important takeaway to our readers? The key takeaway is to take action. And as cliché as that may sound, taking action does not necessarily mean going on Shopify now and say I’m going to buy a store and everything. Taking action might mean putting together a list of questions, doing research on Google, on YouTube, listening to shows like yours or reading blogs like yours, going up to the Shopify blog, listening to podcasts from people who have been there, done that. Immerse yourself, get yourself in the mindset and the right mindset before the battle, and then take action. We’ve learned lots and can’t wait to bring these changes into EMERGE App to make it more responsive to our users. If you’re facing issues managing your order management and business administration, it might be high time you look for a software. Start here at EMERGE App. Speak to our industry experts who are here for you 24 hours, 5 days a week. Do your homework, and take action! Like what you read? Let us know what you think! Drop us a message at [email protected] with your thoughts and preferences.